Vegetables cook beautifully on the dual contact indoor grill. They will have nice grill marks, a crisp-tender texture, and a slightly smoky flavor. You can grill just about any vegetable you like; they just take a bit of preparation time. Always wash vegetables before preparation. You can remove the skin from potatoes and onions if you'd like. Make sure that all of the vegetables are about the same thickness so they have the same contact with the cooking surface. They will then cook evenly and be done at the same time. These vegetables are delicious served on their own. Drizzle them with some olive oil and sprinkle with fresh or dried herbs before or after grilling. Serve them as a side dish, or use them in pasta salads or in sauces for pasta or meats. Watch the vegetables as they are grilling, since they can burn quickly. Vegetables higher in sugar, such as onions, can burn more quickly than others. Lift the lid slightly to check to see how they are browning on the grill. These cooking times are only for the two-sided, or dual contact, or George Foreman type of indoor grill. Do not use these times for any other type of grilling method. With some of the new types of indoor grills, you can open them up to make a larger flat surface you can use as you would use a regular grill. If you want to use these grills in this manner, double the cooking time in the charts and turn the vegetables as they cook, using tongs or a large fork. Asparagus - Marinate if desired.Grill for 2-4 minutes. Bell Peppers - Halve peppers, remove seeds and membranes. Marinate. Grill for 4-5 minutes. Eggplant - Slice 1/2 to 1" thick. Grill for 4-5 minutes. 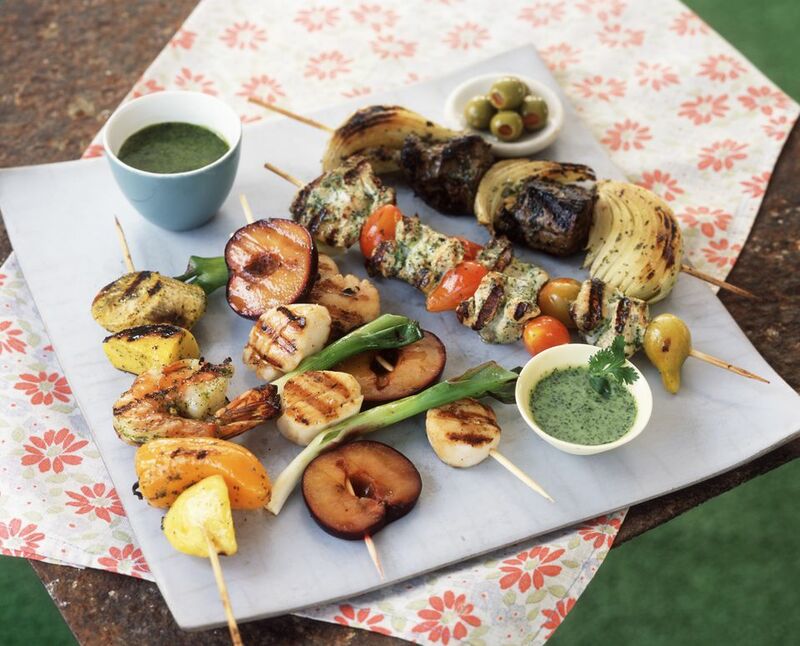 How Do You Properly Grill Vegetables? How Many People Will Your Cake Serve?